*Mission Bell – Available Everywhere Now! 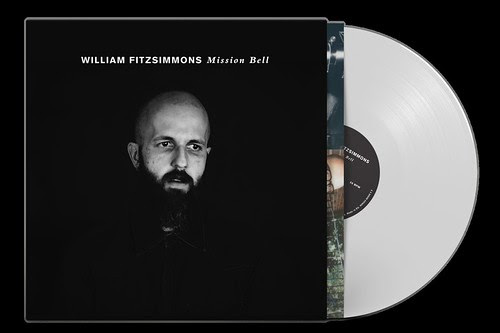 William’s new album Mission Bell is available at last. You can buy/stream Mission Bell at all digital retailers HERE. If you’re looking for a physical copy of the album or a t-shirt, you can order one directly from William through his webstore. All CDs and special edition white vinyl come autographed for a limited time, so order your copy today. “Mission Bell is the offspring of not only the ashes of a destroyed album and period of my life, but of the rebirth of desire and purpose to make something which was deeply honest, uncomfortably personal, and wholly passionate. It was made with abandon, without care for anything I’ve done before or what might come after. It was made at a time when I was at my most vulnerable and raw, and for that reason it is the work I am, to this day, the most proud of. I never wanted to make this record. To be clear I never thought I would have to. But it is the best thing I’ve ever done. William is currently on tour in the US, Europe, and Russia supporting the release of Mission Bell. For tickets and more info, go to www.williamfitzsimmons.com/tour. Be sure to keep an eye out on William‘s Website, Facebook, Twitter & Instagram for the latest William related news.